Immersive and interactive works questioning and interpreting politics of borders, identity and loss are coming to 2018’s Brighton Digital Festival. 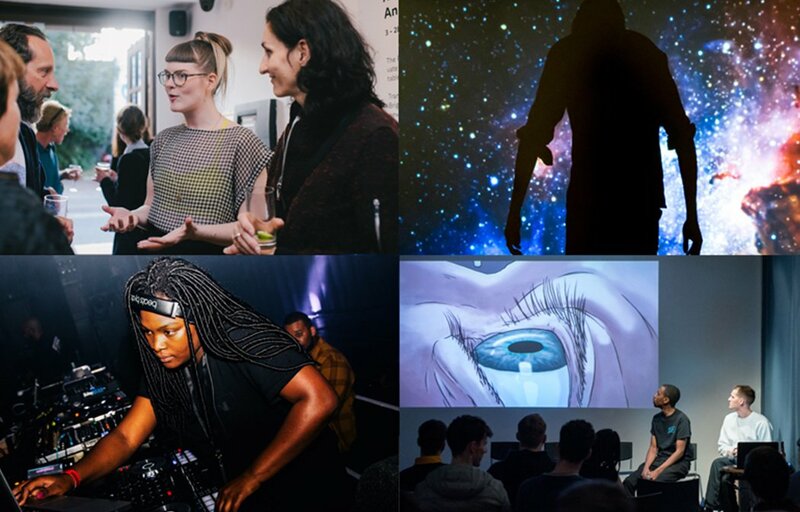 Lighthouse is presenting selected works from the Sheffield Doc/Fest Alternate Realities exhibition, which exhibited at the internationally renowned documentary festival earlier this year. The pertinent programming reflects current affairs – Brighton Pavilion MP Caroline Lucas’ is currently focusing on the injustice of indefinite detention at Yarl’s Wood detention centre and the importance of refugee resettlement schemes. We’ve also seen how visa restrictions are hitting many arts and cultural events – including Sheffield Doc/Fest and Womad – as highlighted in the open letter published in The Guardian this week. Each work uses a different technological platform to explore the ideas – interactive installation, augmented reality, gaming, and social media. Explore contemporary Muslim identities in the U.S. through the lens of an airport interrogation. Step into the uncanny to directly interrogate, and determine the fate of, the hologram passenger before you. For many in the developed world, life can be consumed with material objects. But what if you had to flee your homeland forever? What’s the one item you couldn’t live without? The subjects of this immersive installation were faced with that very decision. A journey through West Africa that asks the simple question. What is home? This Instagram-based project reveals a complex range of thought-provoking answers, and interrogates people’s understanding and experiences of a fundamental concept that’s often taken for granted. Lighthouse is a Brighton based contemporary digital arts organisation that specialises in connecting new developments in art, technology, science and society. We support and produce new ideas, world-class commissions, film and moving image productions, exhibitions, education and talent development schemes.